Melbourne AFL forward, Jesse Hogan diagnosed with testicular Cancer. 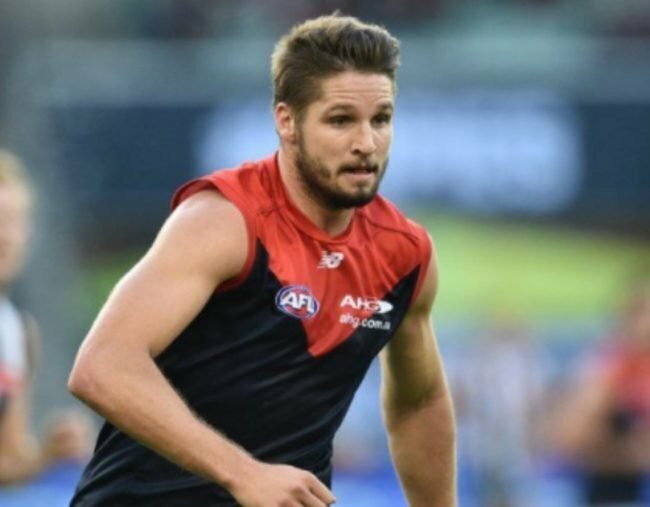 Jesse Hogan, Melbourne Demons forward, diagnosed with testicular cancer. Emerging AFL star Jesse Hogan has been diagnosed with testicular cancer, the Melbourne Football Club has confirmed. The 22-year-old forward missed his side’s win against Adelaide on the weekend after the club said he was suffering from illness. He will undergo surgery today and will be sidelined indefinitely as a result, but the club said he was expected to make a full recovery. His father died only weeks ago. Hogan was named the league’s rising star in 2015 and has been Melbourne’s leading goal kicker the past two seasons. “The Melbourne Football Club wishes to advise that Jesse Hogan has been diagnosed with testicular cancer and will today undergo surgery to have the tumour removed,” the club said in a statement. “Jesse underwent an ultrasound late last week which revealed a small mass in his testicle suggestive of a seminoma, which is a type of cancer. “Jesse has also undergone a CT scan which determined the cancer has not spread to any other part of his body. The club’s general manager of football, Josh Mahoney, said Hogan’s health and wellbeing was the club’s number one priority. He said his teammates were told of the diagnosis on Friday. Testicular cancer is the second-most common form of cancer for men aged between 18 and 39. The five-year survival rate for men diagnosed with the disease is 98 per cent. Hogan is not the first active high-profile sportsman to be diagnosed with testicular cancer in recent years. Carlton defender Sam Rowe had fully recovered from the disease before he was drafted by the club as a mature-aged recruit. Former Adelaide premiership player Tyson Edwards was diagnosed in 2009, towards the end of his career with the Crows, and continued to play the following season. Australian cricketer Matthew Wade was diagnosed as a 16-year-old before forging a successful international career. Wade told SEN he played in an under-19 cricket championship tournament six months after he had a testicle removed. He suffered a swollen testicle after a hit while playing junior football, but didn’t get it checked out immediately. “It really rocks you, it makes you question things about what you’re doing and life itself. But mentally is probably the hardest thing to get through” he said. “When I got [the diagnosis] I was a touch younger than what [Hogan] was, and I probably didn’t know the extent of what I was probably going to have to go through, so I was a little naive. Disgraced cyclist Lance Armstrong famously returned from an aggressive form of testicular cancer to win the Tour de France seven times, before being stripped of the titles for doping. Hawthorn skipper Jarryd Roughead returned to football this season after undergoing 12 months of treatment due to a recurrence of melanoma.